Dr. Balkrishnan’s research and teaching program focuses on health services research and epidemiology related to global medical care access. In particular, Dr. Balkrishnan has been recently focused on exploring issues related to quality of care in oncology, diabetes, and kidney disease in under-served populations. For nearly two decades Dr. Balkrishnan has worked with the Medicaid program in the United States to understand issues of access to essential pharmacotherapies in low income populations. 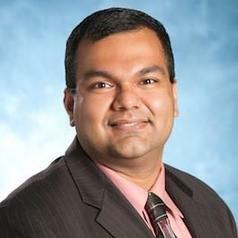 Dr. Balkrishnan is a part of a research group that is exploring issues related to oncology care in rural Appalachia. In addition he serves as key co-investigator on large national studies such as the United States Renal Data System. Dr. Balkrishnan combines his expertise in health informatics, pharmacy, health services research and biostatistics to create and analyze large data repositories which enable “real world” evaluations of the effectiveness of medical care. He is also involved in the development of several registries for non-communicable chronic diseases globally. He has performed several comparative effectiveness evaluations of technologies and treatments. Dr. Balkrishnan has published nearly 300 papers, books and book chapters and has been recognized nationally and internationally for his expertise in effectiveness research and evaluation as well as development of disease registries. Nearly two dozen students have received their PhD degrees under his guidance. Dr. Balkrishnan has also served as a consultant for numerous national and international agencies including the World Health Organization and the ministries of health for several countries in Asia.